State and local governments create hazard mitigation plans (HMP) to identify ways they can protect the health, safety and economic interests of their communities by reducing the impacts of both natural and man-made hazards. Hazard mitigation is any action taken to permanently eliminate or reduce the long-term risk to human life and property from hazards. It is an essential element of emergency management, along with preparedness, response and recovery. In 2012, PHMSA and the Virginia Department of Emergency Management (VDEM) undertook a pilot project to determine an approach to encourage state and local governments to incorporate gas and hazardous liquid pipelines into their emergency management hazard mitigation plans. The focus of this effort is toward the inclusion of the PIPA Recommended Practices as mitigative solutions to identified pipeline hazards. The pilot initiative is supported by the ad hoc PIPA Communication Team and several pipeline operator representatives. Gas and hazardous liquid pipelines are constructed by and for pipeline companies for the transportation of gas and hazardous liquids. By the nature of the potentially hazardous products they carry, pipelines should be included in the lists of hazards that communities consider when developing hazard mitigation plans. 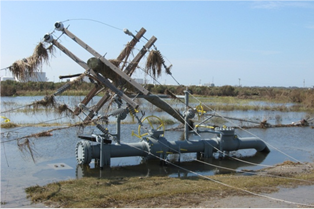 Knowledge of pipeline hazards can enable informed decisions to be made about how to manage the risks and develop mitigation strategies. While pipelines are often thought of as presenting risks to communities, natural hazards can impact the integrity of pipelines. 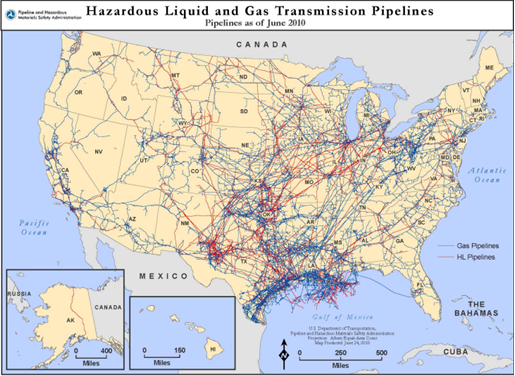 Although natural hazards are cited as the cause in fewer than ten percent (10%) of pipeline incidents, the failure of a large-diameter, high-pressure natural gas or hazardous liquid transmission pipeline during an earthquake or hurricane event can significantly complicate a communities’ ability to respond and recover from the event. Our gas and hazardous liquid transmission pipeline systems are a vital part of the U.S. transportation and energy supply infrastructure. Airports, power generating stations, and major industries, as well as commercial businesses and residents depend on the energy and raw manufacturing products delivered via pipelines. Pipeline disruptions impact our economy, public health, and even national security. Emergency response planning for pipeline emergencies. A guidance document, “Hazard Mitigation Planning: Practices for Land Use Planning and Development near Pipelines” outlines best practices for communities to reduce risks from pipeline incidents, including those caused by natural hazards. Prepared by the PIPA Communications Team and sponsored by PHMSA in coordination with FEMA, the document is a primer for incorporating pipeline hazards into hazard mitigation plans. Communities should also be aware that PHMSA’s Technical Assistance Grants (TAG) program can assist local communities with implementing the Hazard Mitigation Planning Guidance.